We currently offer two training events: A taste of AI and Developing your AI practice (below). These events are currently organised by partner churches according to their needs, and their practice is to open these to participants from other organisations. 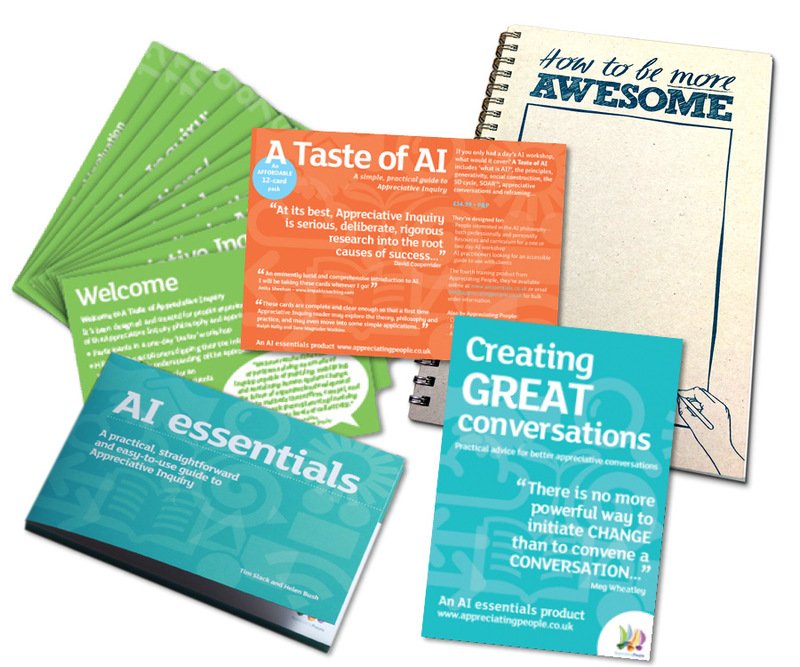 This 3-day residential course is designed for people who have already undertaken an introductory Appreciative Inquiry workshop such as A Taste of AI and who wish to build on existing AI practice and deepen their understanding. Building AI practice into church and community life. Developing your own projects and tools. identify an existing or potential project which they wish to develop using appreciative inquiry during the course. This course is offered as part of the Appreciating Church project, supported ecumenically in association with Appreciating People, UK leaders in the practical application of Appreciative Inquiry.